The CN009 radiator/heated towel rail is available in a standard or petite size. It has a contemporary minamalist design that makes it suitable for ensuites or city pad bathrooms with limited space. It has a heat output of 199W and can be installed on central heating only, electric only or dual energy systems. 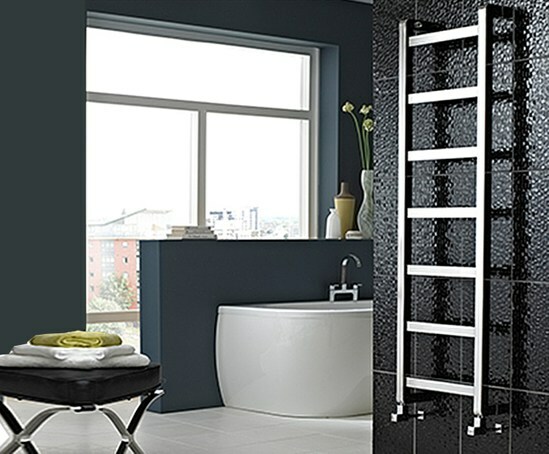 The CN009 radiator/heated towel rail is handmade in the UK and offers a low carbon footprint.